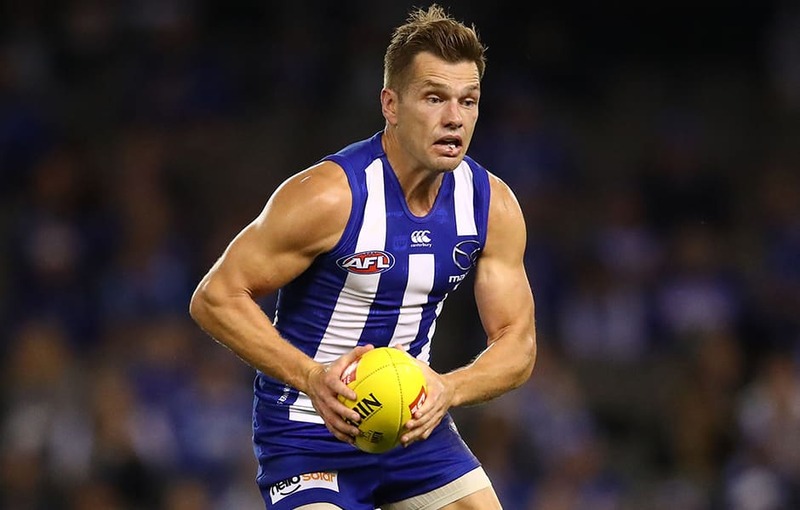 Despite the Roos’ early season struggles, star midfielder Shaun Higgins has shown why he is rated among the very best in the competition. Higgins had another 30 disposals in the win over the Crows on Saturday, bringing him to 130 in 2019. Remarkably, that’s the most of any North player ever after four rounds of the season, beating John Byrne’s record, which he had held since 1979. Over the past few seasons, Higgins has elevated himself into the top bracket of the game’s midfielders, and he has the accolades to prove it, winning two consecutive Syd Barker Medals, and gaining All Australian selection in 2018. The former Bulldog has long been recognised as a quality player, but his transformation into a high-volume possession-getter in recent years has been one that the Roos have certainly needed. And despite turning 31 in March, he doesn’t look to be slowing down any time soon. The skillful midfielder enjoyed a career-best year in 2018, but is poised to eclipse that once again this season. In 2019, North’s number 4 ranks elite for disposals (32.5 per game), inside 50s (4.8), rebound 50s (2.8) and metres gained (464.9m), highlighting just how much he brings to midfield. North fans will no doubt be hoping he can continue at this level for the rest of the year, as the team looks to build on Saturday’s win and turn its season around. You can watch Shaun Higgins in the Kick for the Kids this Friday. Click here to buy tickets.